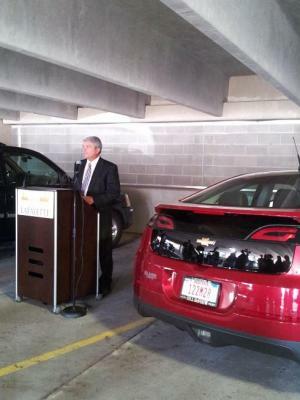 New lights and two charging stations are part of a Green makeover of a Lafayette parking garage. The City installed two electric vehicle charging stations and nearly 150 LED lights on the Fifth Street structure downtown. John Christodoulakis is a member of the Lafayette Parking Commission and owner of Red Seven Bar and Grill. He says the green technology shows the city’s commitment to a cleaner community, which benefits both residents and businesses. Your Questions About Best Electric Car Range | Electric Cars For Sale | Are YOU Looking for ELECTRIC CARS FOR SALE? Here's MOTOR SCOOTERS FOR SALE information for you!